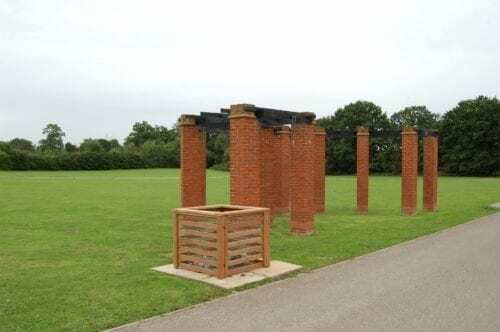 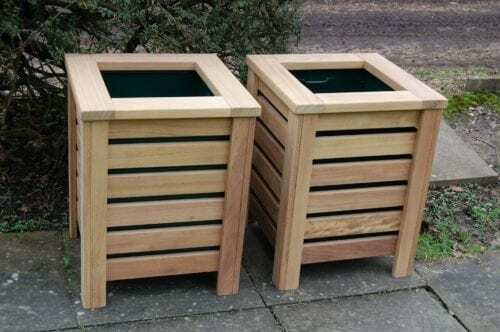 Branson Leisure are proud to introduce our new range of litter bins. 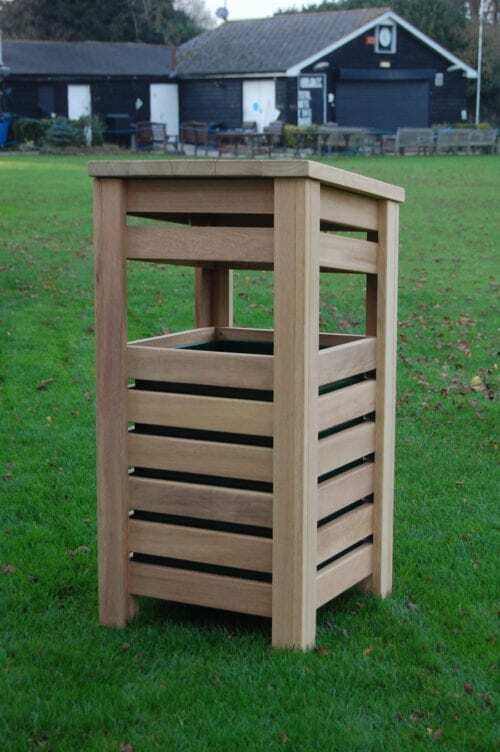 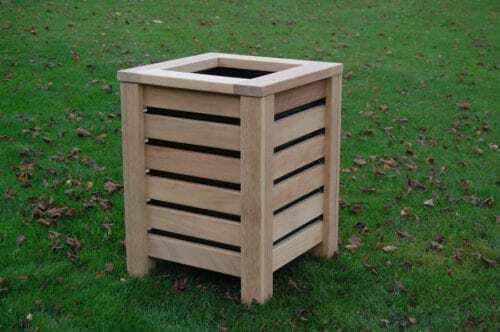 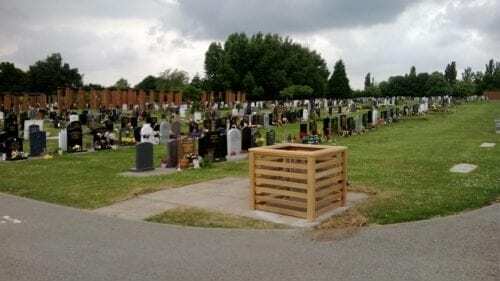 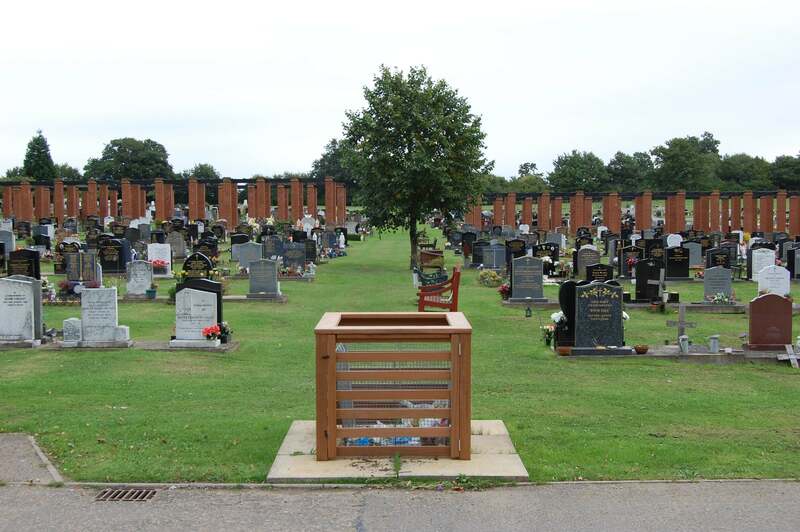 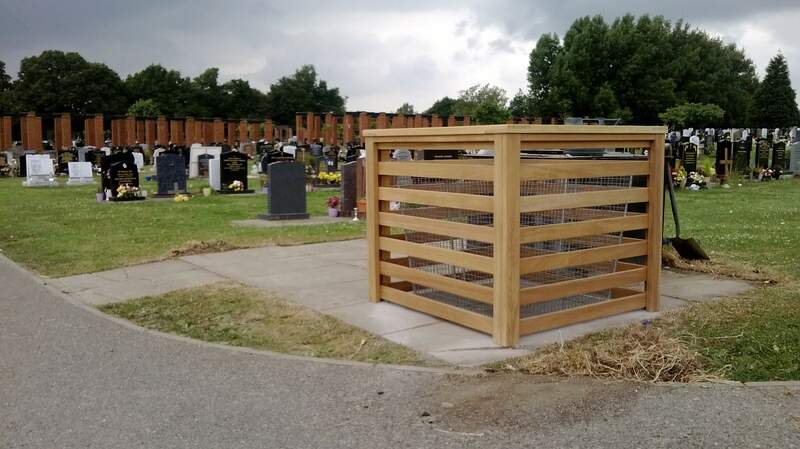 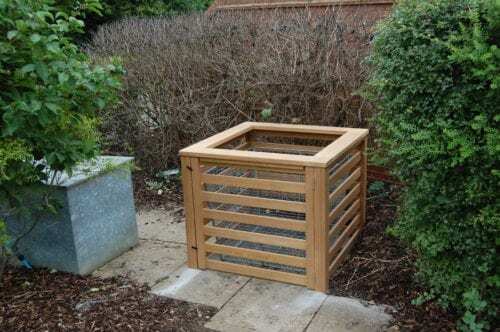 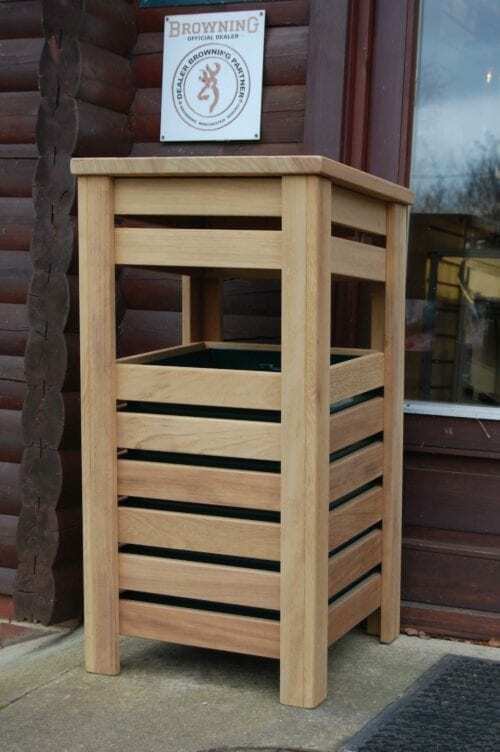 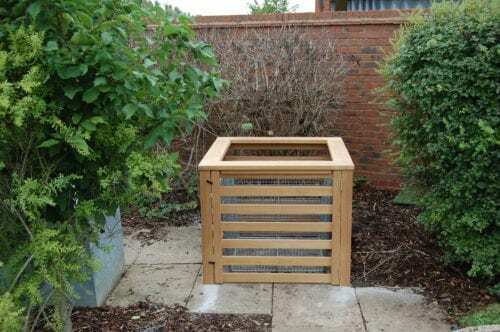 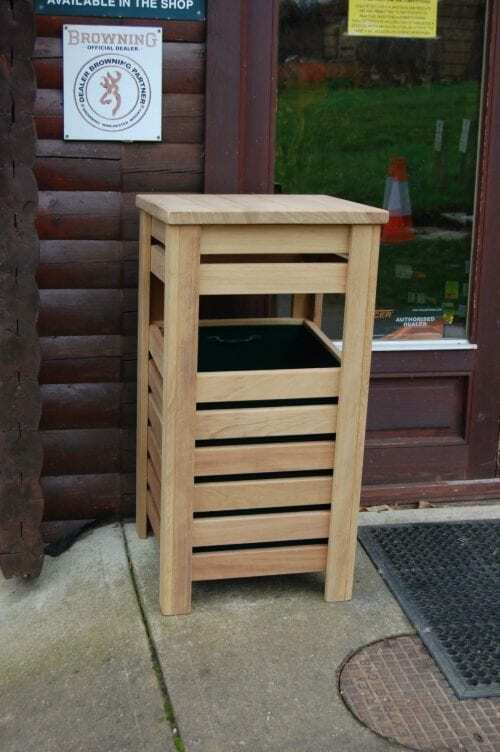 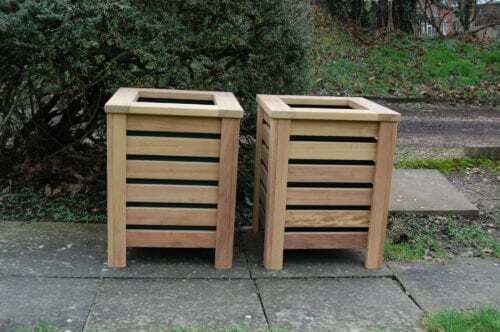 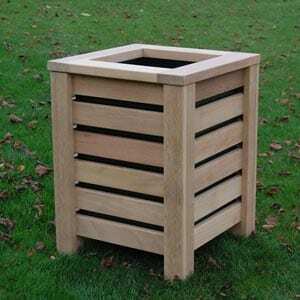 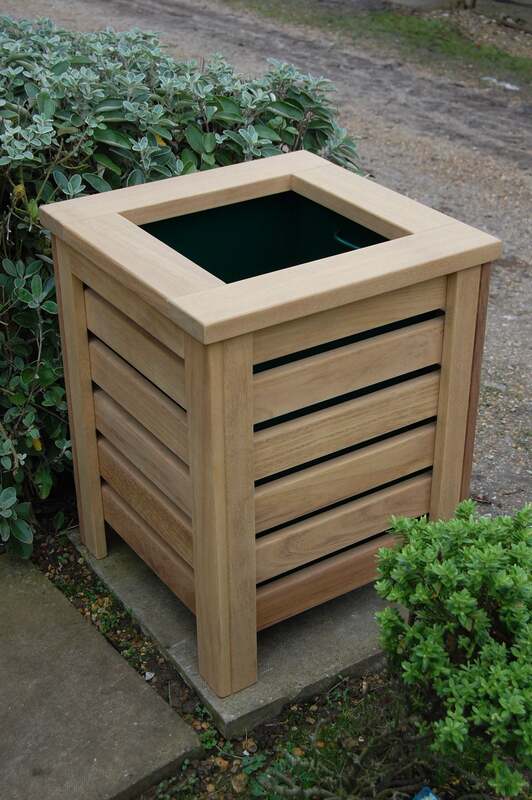 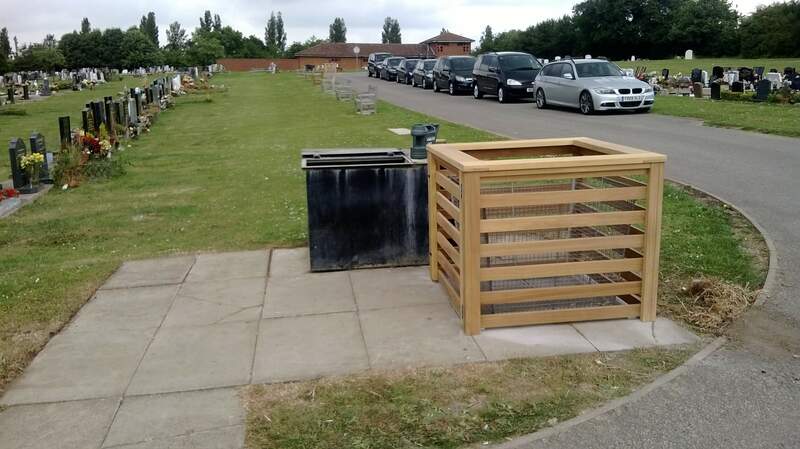 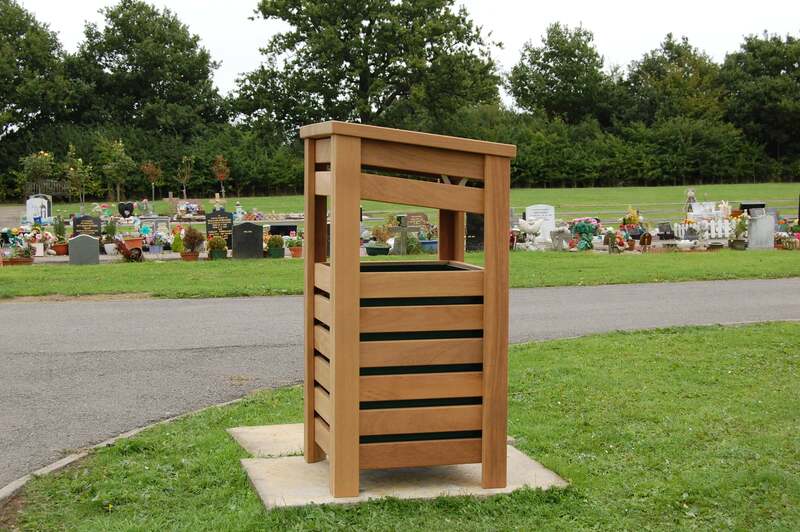 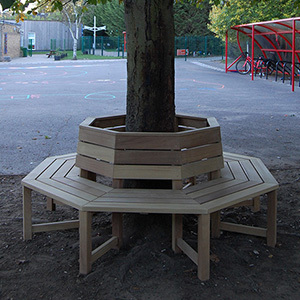 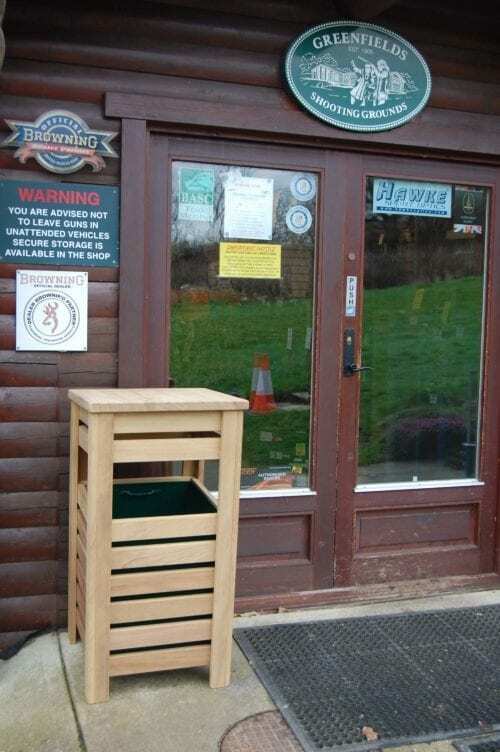 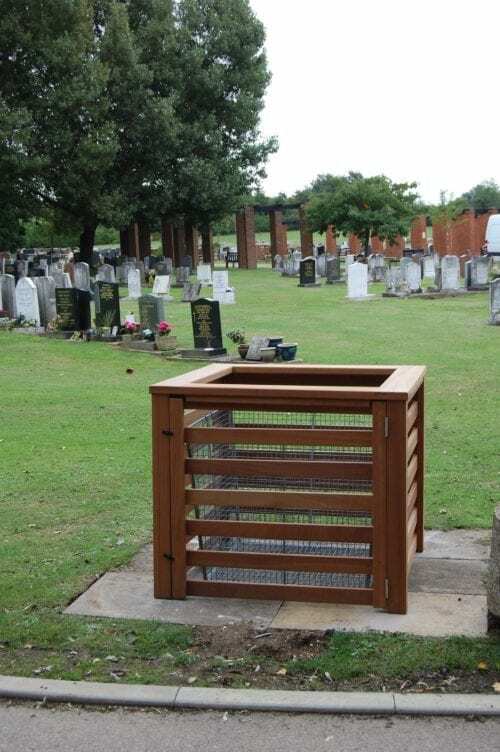 Our range of litter bins are manufactured from Iroko and are supplied with a powder coated bin liner. 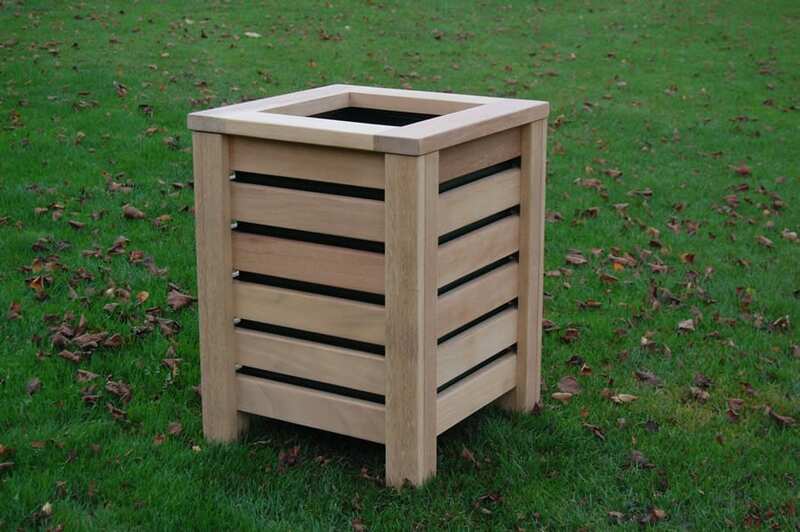 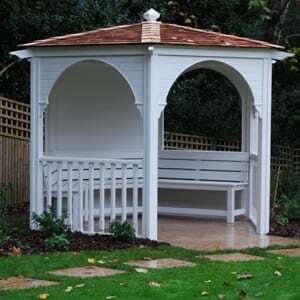 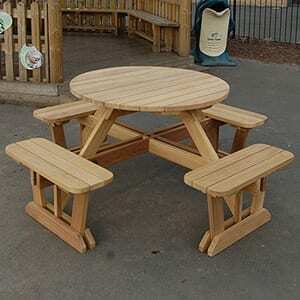 The liner size is 400 x 400 x 500mm high. 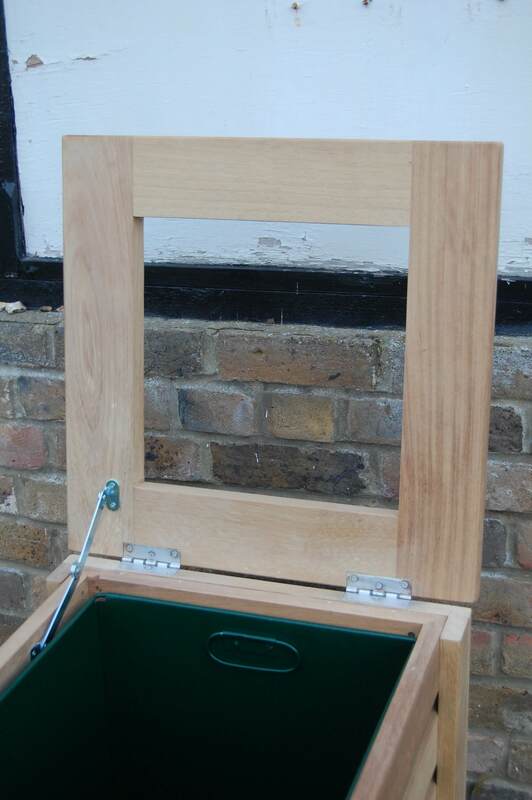 Both bins have a hinged lid and a locking stay which allows the lid to stay upright when removing the liner. 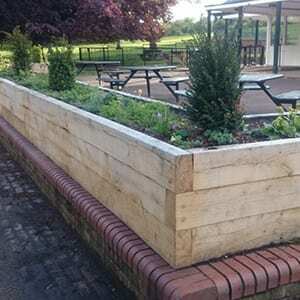 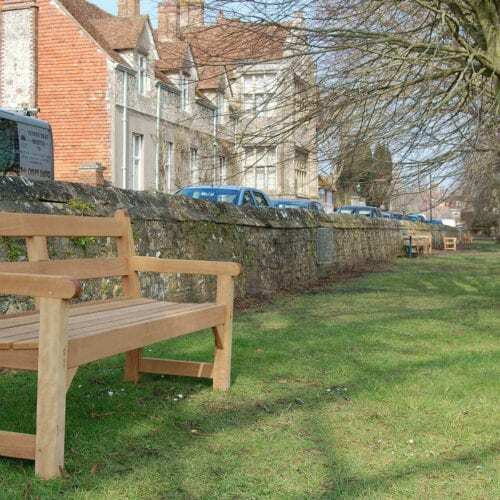 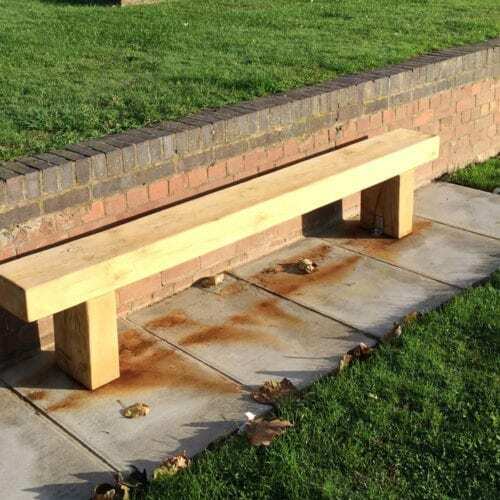 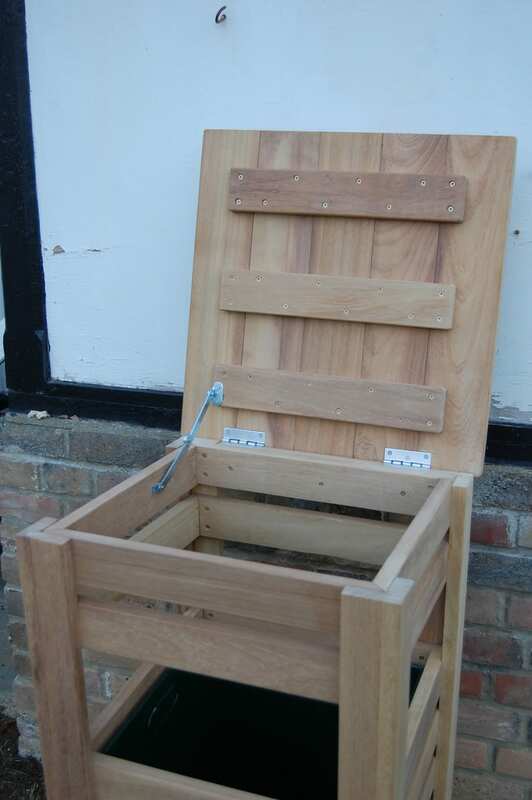 The horizontal slats (22mm x 70mm) are mitred and screwed in each corner of the legs for added strength. 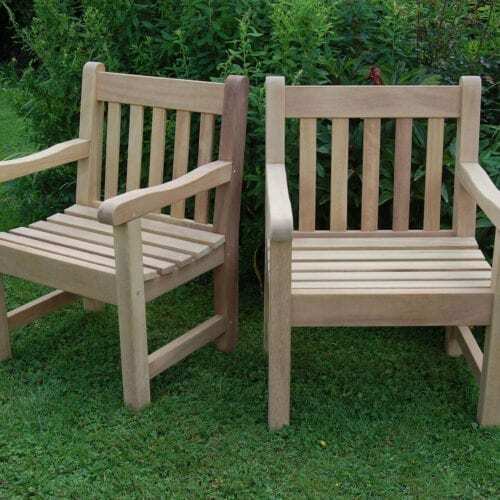 The legs also 22mm x 70mm are grooved, rebated & glued together to form the corner shaped legs.